"This is a first prototype of an aerobrake system being developed by Clyde Space and the University of Glasgow. The objective is to deploy this 1m2 foil sail at the end of the mission to de-orbit the spacecraft using drag. The unit demonstrated here has dimensions of 10cm x 10cm x 3cm. Future prototypes are planned to be more compact so as to minimise volume required on the CubeSat." YouTube: Aerobrake first prototype for CubeSats. The National Aeronautics and Space Administration (NASA) Headquarters has released a solicitation, entitled NASA Space Technology Research Fellowships (NSTRF) - Fall 2011 Fellowship Start, on December 29, 2010. 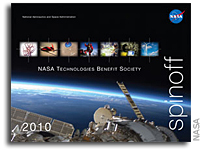 The solicitation is available by opening the NASA Research Opportunities homepage at http://nspires.nasaprs.com/, selecting "Solicitations," then selecting "Open Solicitations," and, finally, selecting "NSTRF11." Go directly to the NSTRF11 page on NSPIRES here. NASA's Office of the Chief Technologist (OCT) seeks to sponsor U.S. citizen and permanent resident graduate student researchers who show significant potential to contribute to NASA's strategic goals and missions. Keith Cowing talks about the kind of hacks made famous by the Apollo 13 mission, instances where the crew had to improvise using materials at hand. He discusses the following: Skylab Rescue – the umbrella used to replace solar insulation and boating tools bought at a local marina; Syncom Rescue – tools made out of plastic and duct tape; Apollo 13 CO2 removal, use of LEM engine, etc. ; Apollo lunar rover fender repair; STS-120 EVA solar panel repair, and ISS camera tracker made from a power tool. Dear Galaxy Zoo: Thanks to your hard work, we've managed to classify most of the galaxies that were in our original batch of images from the Hubble Space Telescope. Don't worry, though, because from today there are fresh, never before seen galaxies added to the interface at www.galaxyzoo.org. NASA Ames Research Center (ARC) is seeking partners interested in developing competitive proposals in response to NASA Announcements of Opportunity (AOs) or other agency proposal calls. ARC is interested in partners that can perform science investigations and research activities. Information is also sought on potential partners that, in addition to performing substantial research, can provide hardware, equipment or instrumentation necessary to implement that proposed science investigation or research activity. Full solicitation. NASA announces its intent to participate in the 62nd International Astronautical Congress, or IAC, and requests that full-time graduate students attending U.S. universities or colleges respond to this "Call for Abstracts." The IAC -- which is organized by the International Astronautical Federation, or IAF; the International Academy of Astronautics, or IAA; and the International Institute of Space Law, or IISL, -- is the largest space-related conference worldwide and selects an average of 1000 scientific papers every year. The upcoming IAC will be held Oct. 3-7, 2011, in Cape Town, South Africa. 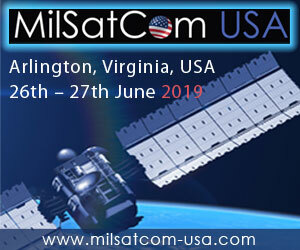 NASA's participation in this event is an ongoing effort to continue to connect NASA with the astronautical and space international community. The Reduced Gravity Student Flight Opportunities Program provides a unique academic experience for undergraduate students to successfully propose, design, fabricate, fly and evaluate a reduced-gravity experiment of their choice over the course of four to six months. The overall experience includes scientific research, hands-on experimental design, test operations and educational/public outreach activities. A flight opportunity targeted for community college and minority students is available in June 2011. There will be a webinar broadcast live from NASA's Johnson Space Center in Houston, Texas, on Jan. 12, 2011, at 3 p.m. EST that explains how to apply. Students and faculty may ask questions, download applications and view other related videos. Visit http://nasamici.com/reduced-gravity.html to learn how to register for this free webinar. Please e-mail any questions about this event and registration to mary@nasamici.com. We report on the software architecture we developed for the Open University's remotely controlled telescope PIRATE. This facility is based in Mallorca and used in distance learning modules by undergraduate students and by postgraduate students for research projects. PIRATE (Physics Innovations Robotic Astronomical Telescope Explorer) is a largely Open University funded facility consisting of a small aperture reflecting telescope on a robotic mount, in a robotic dome on top of the main observatory building at the Observatori Astronomic de Mallorca (OAM). Initially, the optical tube assembly (OTA) was a 14 inch (35 cm) f/10 Schmidt Cassegrain telescope (a Celestron 14; PIRATE Mark I). In August 2010 this was upgraded to a PlaneWave Instruments CDK17, a 17 inch (0.43 m) f/6.8 corrected Dall-Kirkham astrograph telescope (PIRATE Mark II). Web users around the globe will be able to help professional astronomers in their search for Earth-like planets thanks to a new online citizen science project called Planet Hunters that launches December 16 at http://www.planethunters.org. Planet Hunters, which is the latest in the Zooniverse citizen science project collection, will ask users to help analyze data taken by NASA's Kepler mission. The space telescope has been searching for planets beyond our own solar system -- called exoplanets -- since its launch in March 2009. NASA Ames Research Center (ARC) Small Spacecraft Division has a requirement for mission operations and ground support services and associated research and development of technologies and processes critical to support flight missions. This requirement includes development of documentation such as Mission Operations Plan and Procedures, Test and Verification Reports, Space to Ground Segment Interface Control Documents, and Mission Review presentations, support to project development and management, and advanced payload and aerospace technology development. The anticipated period of performance is approximately 21 months (through September 15, 2012). Less than three years after obtaining college degrees, a group of early-career employees at NASA's Jet Propulsion Laboratory, Pasadena, Calif., can now add "rocket launch" to their resumes. Recent graduates who work for JPL launched a sounding rocket 120 kilometers (75 miles) above Earth's surface on Monday, Dec. 6. The rocket flew from the U.S. Army's White Sands Missile Range in New Mexico, with four cameras on board. The cameras recorded real-time ground imagery throughout the flight, both after launch as the rocket climbed beyond the atmosphere, and during its descent back to White Sands. Those data will be compared with existing maps to develop terrain-modeling algorithms. This project will improve precision landing for future missions to Mars and other locations. At this time, it is not clear that NanoSail-D ejected from the Fast, Affordable, Science and Technology Satellite (FASTSAT) as originally stated on Monday, Dec. 6. At the time of ejection, spacecraft telemetry data showed a positive ejection as reflected by confirmation of several of the planned on orbit ejection sequence events. The FASTSAT spacecraft ejection system data was also indicative of an ejection event. NanoSail-D was scheduled to unfurl on Dec. 9 at 12:30 a.m., and deployment hasn't been confirmed. The FASTSAT team is continuing to trouble shoot the inability to make contact with NanoSail-D. The FASTSAT microsatellite and all remaining five onboard experiments continue to operate as planned. The first U.S. Army nanosatellite lifted off of Launch Pad 40 at Cape Canaveral, Fla., today at 10:43 a.m. Eastern. This is the launch of the first U.S. Army-built satellite in more than 50 years. 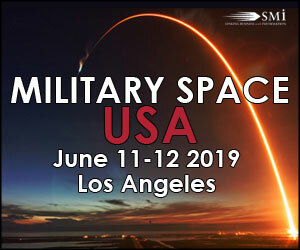 U.S. Army Space and Missile Defense Command/Army Forces Strategic Command is the Army lead for the SMDC-ONE nanosatellite program. The Space and Missile Defense Command - Operational Nanosatellite Effect, or SMDC-ONE, launched on a Falcon 9 two-stage booster, a Space Exploration Technologies, Inc, or SpaceX, launch vehicle as a secondary payload. The primary payload for this flight is the SpaceX Dragon spacecraft. WHAT: Middle- and high-school teams have built unique devices to compete in the "Ping-Pong Ball Climb Contest," the 13th annual Invention Challenge hosted by NASA's Jet Propulsion Laboratory, Pasadena, Calif., on Friday, Dec. 10. The objective is to create a device capable of lifting an officially supplied ping-pong ball from near the ground and cause the ball to touch and hold against a ceiling located 2 meters (about 6.6 feet) above ground. The winner will be the team whose device accomplishes this task in the fastest time. NASA joined with Google, Microsoft, Yahoo! and the World Bank Dec. 3-4 to bring together computer experts looking for new approaches to disaster relief challenges. The third Random Hacks of Kindness (RHoK) event included more than 1,500 software developers, students and disaster risk experts for a "hackathon" at 20 locations around the world. The locations included New York, Toronto, Buenos Aires, Tel Aviv, Nairobi and Bangalore, India. You've seen these things in SciFI films for years - "Aliens", "Avatar", "Star Trek" and so on. 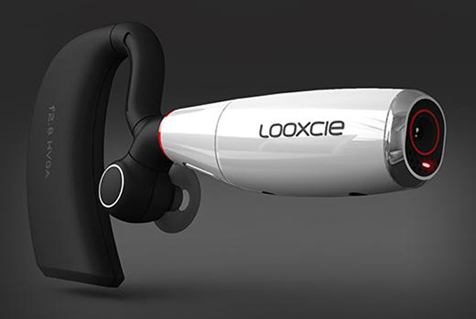 Headsets that let you communicate and record everything around you - hands free. 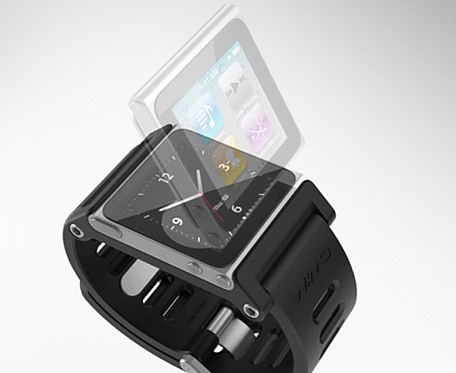 Now you can buy one that works with your iPhone/iPad or Android device. Imagine equipping NASA Away Teams in the field or astronauts in space with these devices and allowing all of us back home to literally peer over their shoulders as they work and live in space and exotic research locations on our own planet. The Terrestar-1 satellite, launched in 2008, is as big as a school bus, connects to a tiny handset called the Genus, and proves that communication satellites can provide data services effectively. The company that owns that satellite filed for chapter-11 bankruptcy protection on October 19th 2010. We believe that Internet access is a tool that allows people to help themselves - a tool so vital that it should be considered a universal human right. Imagine your digital life disconnected. Without access to the 100 million man-hours that have been put into Wikipedia, how much do you actually know? Without your contacts online social networks how much can you accomplish? Without access to the news, weather, your bank account-- how in charge of your life are you? The Internet has transformed what it means to be human - we are now more connected to one another than ever before. Yet, over 5 billion people do not have access to this incredible invention, do not have a voice in the global dialog, or the opportunity to share ideas and learn from the Internet's ever-expanding knowledge pool. We believe that access to information and the Internet is a necessity for every global citizen and We plan to address the information inequality by making internet access so ubiquitous you can take it for granted: Free, global, seamless connectivity. On Dec. 6 at 1:31 a.m. EST, NASA for the first time successfully ejected a nanosatellite from a free-flying microsatellite. NanoSail-D ejected from the Fast, Affordable, Science and Technology Satellite, FASTSAT, demonstrating the capability to deploy a small cubesat payload from an autonomous microsatellite in space. Nanosatellites or cubesats are typically launched and deployed from a mechanism called a Poly-PicoSatellite Orbital Deployer (P-POD) mounted directly on a launch vehicle. This is the first time NASA has mounted a P-POD on a microsatellite to eject a cubesat. The NASA Academies offer a ten-week summer experience for college students with emphasis on immersive and integrated multi-disciplinary exposure and training. 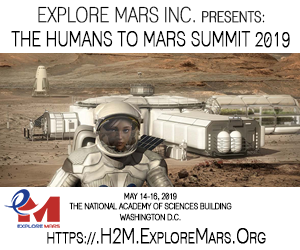 Activities include laboratory research, a group project, lectures, meetings with experts and administrators, visits to NASA centers and space-related industries, and technical presentations. Students learn how NASA and its centers operate, gain experience in world-class laboratories, and participate in leadership development and team-building activities. NASA field centers participated in a pilot program recently called NASA@Work to facilitate internal problem solving and communication across the agency. The goal of NASA@Work is to leverage the breadth and depth of NASA technical expertise by offering solutions to challenges that exist in currently funded NASA projects. InnoCentive Co., hosted the pilot program in coordination with NASA Johnson Space Station and the HQs Office of the Chief Technologist's Partnerships, Innovation and Commercial Space Program. Jan Aikins served as the "Center Champion" for NASA Ames Research Center and coordinated NASA Ames' participation in this pilot program with the Center Chief Technologist's Office led by John Hines. Crowdsourcing and Fundraising For Space Projects?